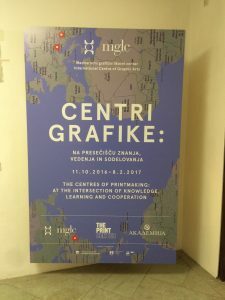 In honor of its 30th Anniversary, the International Centre of Graphic Arts (Ljubljana, Slovenia) has prepared an exhibition in cooperation with two similar institutions from Serbia and in the United States. The Print Center (Philadelphia, PA) founded in 1915, was invited to mount an exhibition about our organization. The exhibition pairs work by three contemporary artists closely associated with us: Amze Emmons, Shelley Thorstensen and Andrew Jeffrey Wright, with artists that have an important connection to them and to The Print Center’s history: Art Spiegelman, Stanley William Hayter and Edna Andrade. The “Academija” Centre for Graphic Art and Visual Researches, founded in 1995, is part of the Faculty of Fine Arts in Belgrade. The exhibition presents a selection of prints from its own production with an emphasis on artists of various artistic expressions, to whom printmaking represents an additional opportunity for exploration. The focus of the International Centre of Graphic Arts in the show is on works from the collection and the current production, which have investigated the status of the graphic arts during the thirty years of the institution’s functioning, placing it in dialogue with contemporary artistic trends. Images: International Centre of Graphic Arts. 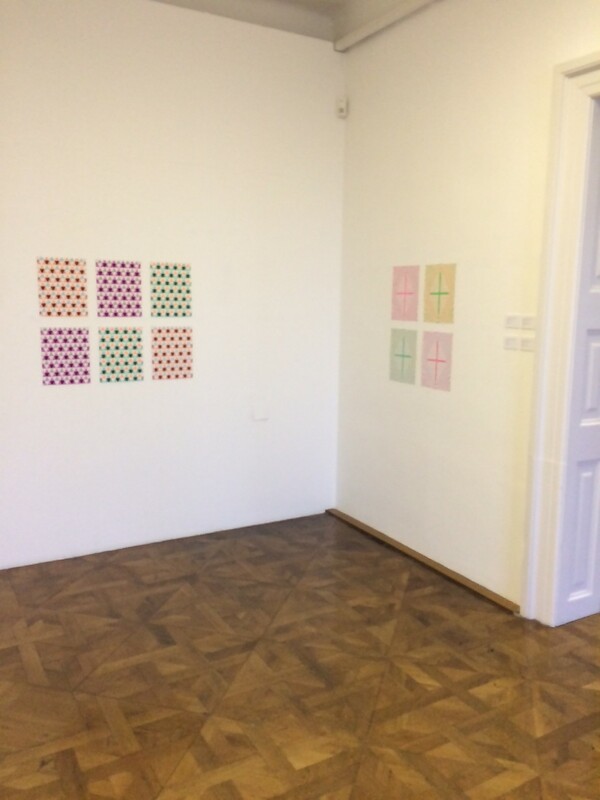 Installation viewes of (left) Exhibition announcement panel and (right) Andrew Jeffery Wright, Philadelphia work on view.